What's a class note and why is it important? On your class schedule in myBoiseState, you will find one or more notes associated with your online class. These notes provide important information and reminders about the class such as prerequisites, testing, and in-person or synchronous requirements. When does my class begin? Do I need to purchase any computer software, supplies or other equipment? Are there any in-person requirements for this online class? Will there be any proctored exams? What is the time commitment for this class? Where do I find what textbooks I need for my class? 3. Review your required books. You can even see prices from the Bookstore side-by-side with other online retailers. If you choose to purchase your books from the Bookstore and you live in the Boise area, you have the option to pick up your order at Bronco Express, located in the Student Union Building, or at a Bronco Shop near you. Live outside of the Boise area? You may have books shipped directly to you. Whether you order from the Boise State Bookstore or from another online retailer, place your order early to allow enough time for your books to arrive before the start of your class. What will I need for my study space and computer? Install more than one browser on your computer and experiment. You may find that one browser performs better than another for different applications. Also review the system requirements for Blackboard. Identify other computers with an Internet connection that are available to use. If you experience trouble with your computer or Internet connection you will need access to a reliable back-up. Prep your computer with any necessary software. Boise State students can download MS Office for free, and also can purchase both hardware and software from Bronco Tec. For more details about technology requirements, see OIT Services for Students. Is this space quiet and free from distractions? How might you limit the distractions? Is there enough space and light to be comfortable while studying? How can you make adjustments? Will I have to share the computer with another person? How will you share time with them? Having your computer and learning space prepped and organized will make the first week of school, and the remaining semester, much less hectic. Information about accessing your online program’s resource site is provided in your orientation emails. 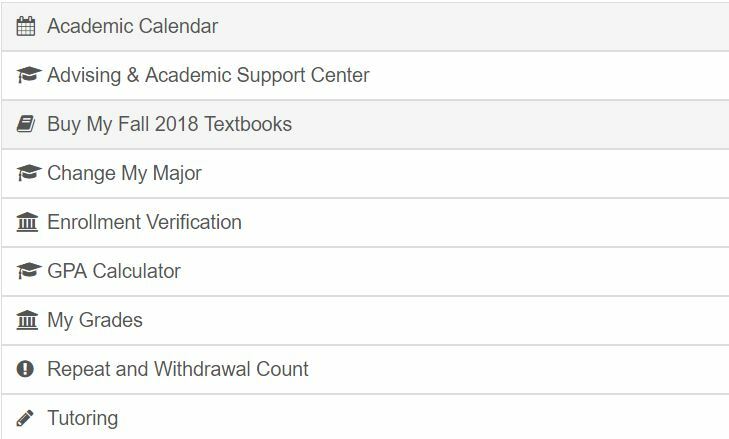 For more information about using Blackboard, see Blackboard Student Help. What should I look for while exploring my online class? As soon as you can access your online class, follow these three steps to organize and prep for your semester. Step one: Locate, read, and print a copy of the syllabus. A syllabus is one of the most important resources for a student. It outlines classroom expectations, deadlines, and learning outcomes. Step Two: Review the class and student expectations as well as the class schedule and types of assignments. This information will give you an idea of what to expect during the semester. HINT: You will also use this information to fill out your master calendar and weekly study plan. Step three: Complete your first assignment! Online instructors typically assign something to be due the first week of class. It could be to post an introduction to the discussion board, complete a syllabus quiz, or send an email. Whatever the assignment is be sure to complete it early. Failure to complete this first assignment puts you at risk for being dropped for nonattendance. Jump To Section What's a class note and why is it important? Where do I find what textbooks I need for my class? What will I need for my study space and computer? What should I look for while exploring my online class?